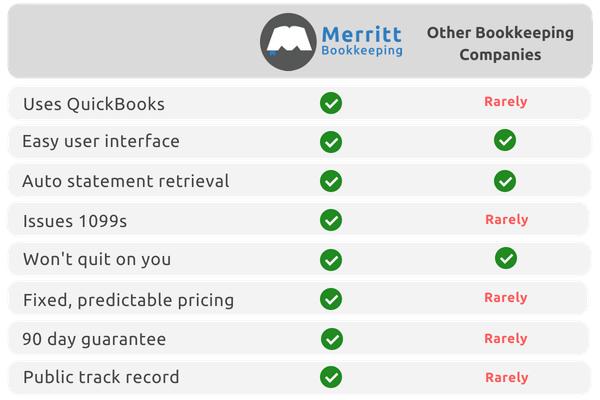 Merritt Bookkeeping - The easiest bookkeeping solution! We’re not bragging, we’re just stating the facts. We do stuff that others don’t. 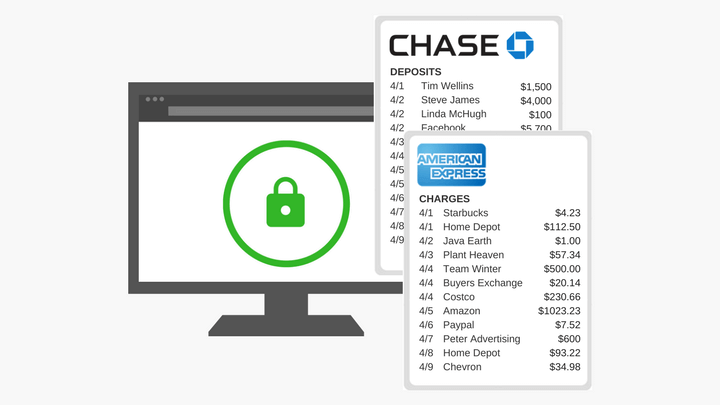 We collect your bank statements each month using an automated software, so you never have to send us anything. 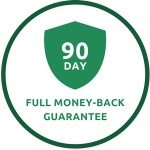 We do your bookkeeping in QuickBooks, then send you financial reports that are easy to understand. 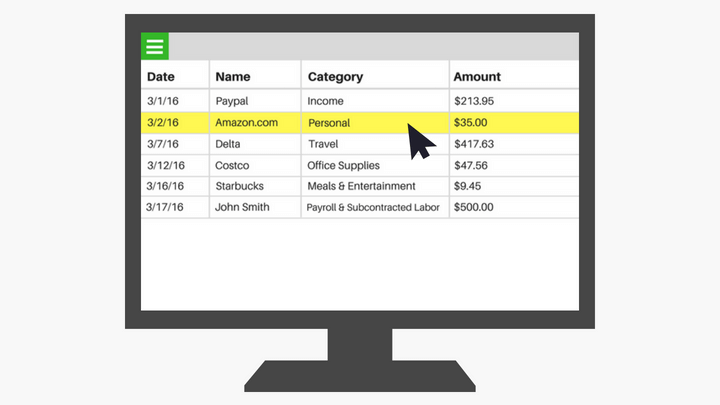 You review and adjust your reports using a simple web interface we custom built, so you don’t have to use QuickBooks. If you have questions about your reports, send us a message and get a same day reply from the same people who are doing your bookkeeping. Simply forward your reports to your CPA, or have them contact us directly and we’ll get them what they need. 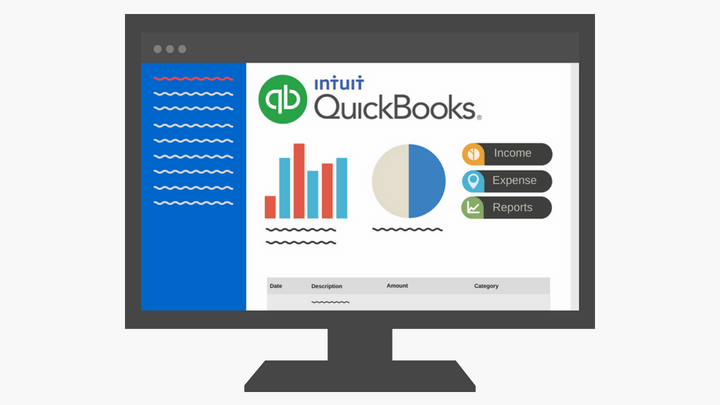 We’ll create a QuickBooks file for you and bring it up-to-date for just $140/mth (25% discount) for each month you are behind. No charge for months that take us less than 15 minutes, since it’s already basically complete. $95/mth (50% discount) for months with more than half the transactions already entered. $140/mth (25% discount) for months with less than half the transactions already entered. If you’d like to know if we have any openings, submit your info below and we’ll get right back to you.